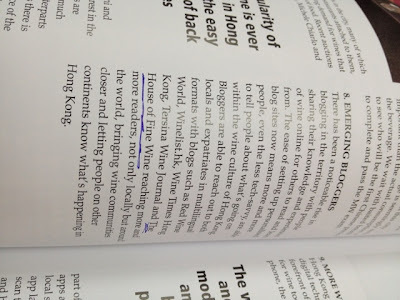 A big thanks for the shout out from The Drinks Business Hong Kong!!! 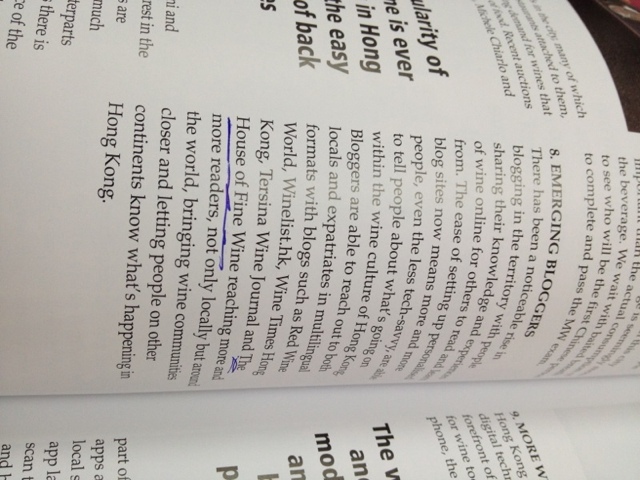 They listed the top 10 trends in Hong Kong wine right now, and #8 was entitled 'Emerging Bloggers.' One of the 5 wine blogs listed was THIS VERY ONE!!!! Let's get some comments going now guys! Someone must be reading this for it to appear in a magazine. Don't be shy! Introduce yourself!! What's your favorite wine and why?